A plan is a strategy, a formula for duplication of your efforts in different aspects of your business, a timeline, and accountability partners. The Hundred Grand Plan offers you a platform to help you develop a strategy with written material, mastermind calls, social media content, and mentors. 1. You have a message you want to get out into the world. 2. You want to establish instant credibility in your area of expertise. 3. You want an additional way to generate leads and income for your business. 4. You want financial freedom and you're tired of your job owning you. 5. You want to separate yourself, Stand Out, from the competition. 6. You want to turn your passion into an additional stream of income. 7. You’ve always wanted to be or you are an Entrepreneur and don’t know where to start or how to grow your business. If even one of these reasons resonated for you the Hundred Grand Plan is for you! A real workable plan to become Debt Free, Job Optional and Financially Free? Or are you at best just hoping something is gonna break you free. A goal with no plan… is just a wish. What is the Hundred Grand Plan? The Hundred Grand Plan is a Master Course, Mastermind Call, and Mastermind Support Group to help you create an action plan to bring your dreams to reality and earn money doing something you love. It's based on the principles I share in my book, Launch and Stand Out. The Hundred Grand Plan Master Course literally breaks down step by step how John Sortino, founder of The Vermont Teddy Bear Company, made his first $100,000 (he eventually made $120 million selling Teddy Bears) and he shares how anyone could plug a product or service into his model. A GPS takes from you from where you are to where you want to be. All you need is a destination. If you get off track there is a guide that helps you get back on track. The Hundred Grand Plan is that guide. The voice inside the GPS. I learned the power of combining a goal with a plan and action at the age of 5 when I set the goal to be a successful business owner in America. 23 years later I was named one of America’s Top 100 Urban Entrepreneurs and 40 Under 40 in Massachusetts. I learned the power and importance of helping others, also at an early age when I started a candy business with my grandmother at the age of 9. She was able to leave her job when I was 11 because she was making more money selling candy to the neighborhood kids than she was at her job as a waitress. I learned entrepreneurship and business by watching, studying and learning directly from some of the greatest, most successful, Entrepreneurs/Business Owners in history. Between the knowledge I've gained from the Vermont Teddy Bear guy, John and the Yankee Candle Village guy, Mike K. And from the Jelly Belly Jelly Bean guy, David K. I have enough business know-how to last 3 lifetimes. What I noticed is that the successful Entrepreneurs/Business Owners operated the same way. Almost systematic. Goal Oriented. Action Takers. With Strong Self Belief. I believed I cracked the code on how they actually make money in business and become successful at almost anything they do. The Hundred Grand Plan started as a theory that I believed, the way successful Entrepreneurs/Business Owners operate could be duplicated. This theory became a reality when a few people followed the Hundred Grand Plan and made enough money to first become job optional, then leave their jobs, just like my grandmother did. Less than two years ago we launched the Hundred Grand Plan with a small group of people, 10 to be exact. Out of those 10, three people went on to make over 100k. Another person is on her way to making 100k. Two people quit and five are still actively pursuing the goal of earning 100k independently of a job. 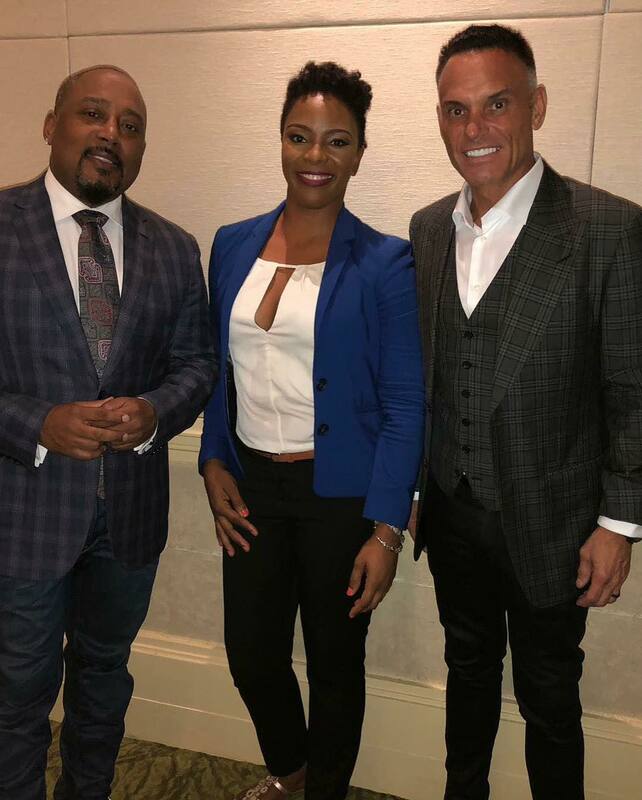 Photo: Daymond John, Shark Tank, Davina Rutherford Hundred Grand Plan Member and Kevin Harrington, Shark Tank Season 1. From Swimming with the Guppies to Swimming with the Sharks! Hundred Grand Planners make me so proud when they reach their goals!!! Shout out to Davina on reaching one of her goals in less than 1,000 days! Three years ago she said she wanted Daymond John to be the keynote speaker at an event she planned in The Bahamas. (Watch her video testimonial below). We got her connected to people that know Daymond. And just like that, she had Daymond John & Kevin Harrington at a six-figure event she planned! The coolest part is the business person she’s become over these past three years. She’s transformed from a passive person to someone that goes for what she wants and doesn’t settle for no… without losing her genuinely wonderful personality. Davina was my first one on one client. She is all the way in the Bahamas and most of our sessions were done through Facebook Messenger, Google Hangouts, and WhatsApp! We're looking to add more people that will make 100k independent of a job following the Hundred Grand Plan. What if I don’t have a Business or Idea? If you don’t have an idea or business, marketing, or branding experience, it’s all good! You will learn the skills. Just leave your ego at the door. Be open-minded, approachable, coachable and take action by implementing and executing the things you learn. The Hundred Grand Plan (Case Study Edition) includes over $10,000 in 1 to 1 mentorship, courses, classes, group mentoring and masterminding. You also get access to harmonious like-minded people. Some are in pursuit of similar goals and others who’ve surpassed their goals. 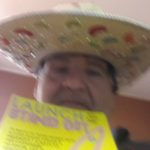 In the book Launch and Stand Out, I’ll teach you how to turn your ideas into businesses… Launch. And how to market and position your products & services above the crowd to make money… Stand Out. Just like I did with my silly little idea, Stinky Cakes™, that I turned into an award-winning international business! The Hundred Grand Plan (Case Study Edition) which will help you create a solid plan to follow to help you reach your goals. 1. How to Create A Marketing Strategy. 2. Creating a brand that gets people to know, like, trust, remember and buy your products & service. 3. How to build a team so you don’t have to work alone. A harmoniously weekly group Video/Phone call with people just like you creating a Hundred Grand Plan. The Mastermind Calls are Lead by Thought Leaders that met or exceeded their Hundred Grand Plans. You will have the ability to ask questions, discuss your ideas and thoughts on these calls as well. If for some reason you can’t make the Live call, you will have access to the full library of mastermind call replays. Before making any financial decisions with your business… always ask yourself is this something my ego wants… or is this something my business needs. 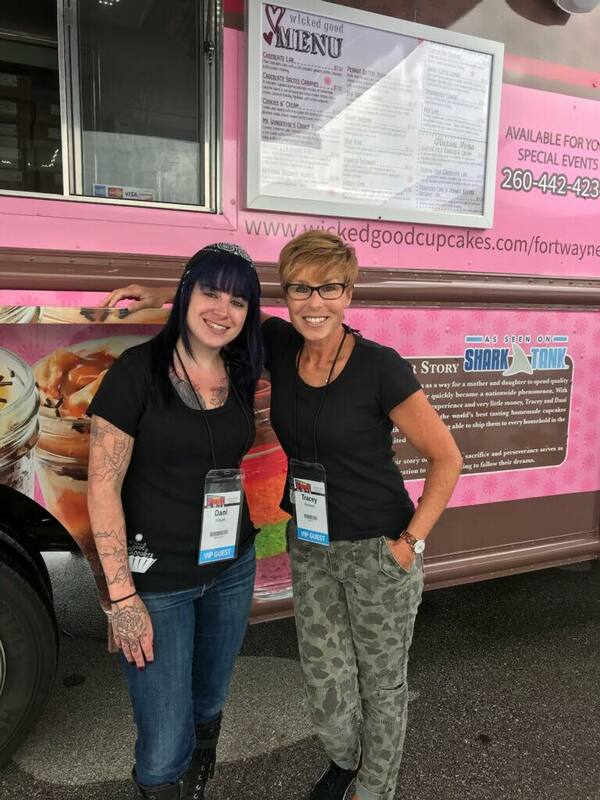 Tracey went from taking a baking class so she could spend more time with her daughter Dani, to getting a deal on Shark Tank. Then having her company Wicked Good Cupcakes sell over $14 Million in Cupcakes. A non-judgemental online group where the Hundred Grand Planners and Hundred Grand Plan Thought Leaders interact. Accountability is the name of the Game. In the group, you will find people willing to help you stay on track with your goals. Two successful entrepreneurs, Mychal Connolly and John Sortino, are going to teach you inside the Hundred Grand Plan Master Course. You will also be learning from other successful people on the weekly Mastermind Calls. Live every Monday at Noon est. Or in our extensive mastermind call replay archive. If you ever have the opportunity to learn directly from some of the best CEOs in American history, from people that got funding on national TV Shows, from people that own popular franchises in your neighborhood, and from people that literally started businesses from nothing… take the opportunity. That's why I'm so excited to invite you to enroll today in the Hundred Grand Plan! So you can start learning and start doing today! This interactive course is something I wish I had when I launched Stinky Cakes 9 years ago. The only way I can describe the feeling I get about the Hundred Grand Plan is I have the same magical feeling I got when I made and shipped my first Stinky Cake across the country. I know so many people like yourself are going to benefit from the Hundred Grand Plan. My courses are affordable because my goal is to help more people be self-sufficient and debt free. So if my courses put people in debt that would be defeating my purpose. If former professional basketball player, Shaquille O' Neal, can sell affordable sneakers while helping people and making a few dollars… I can sell an affordable course that teaches people business, entrepreneurship and marketing to become debt free! Why block someone’s blessing by me being greedy? I know my courses are valued at thousands of dollars each. And I know if charged what they’re worth people would pay for them. But I also know we gain more by giving than receiving. Never forget why you’re doing what you’re doing or where you come from. I see it’s a subscription. What are the terms? There is no contract, which means you can opt out at any time with no penalty. No cancellation fee. And we still remain friends. Let’s get you started building your Hundred Grand Plan! Subscribe Now! Mychal Connolly was named one of America’s Top 100 Urban Entrepreneurs for his body of work as the co-founder of the online baby-gift company, Stinky Cakes. He was also named one of the Top 100 Urban Entrepreneurs in America. And 40 under 40 in Massachusetts by Business West Magazine. 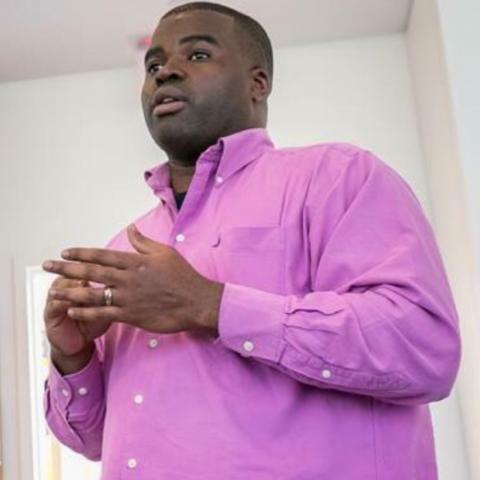 He’s been featured in the Boston Herald, Black Enterprise Magazine and INC magazine. Myke occasionally writes articles on business, marketing and entrepreneurship for virgin.com. And is the author of the book, Launch and Stand Out. In the book, he teaches how to start businesses and use creative marketing to get customers. He has shared his voice on the power of changing lives through entrepreneurship with platforms such as NPR, CBS Radio, affiliate ABC and NBC TV stations. Mychal also serves on the board for Junior Achievement, an organization that teaches the youth workplace readiness, financial literacy and business and entrepreneurship skills. He is most proud of being a husband, dad, foster dad, and basketball coach. ❤️ Love Yourself. 😃 Believe in Yourself. 🕘💰 Invest in Yourself. Only $50 per month. Subscribe below.